Next Post: How to Root & Convert Kindle Fire HD 8.9 into Pure Android Tablet! I have a tablet Galaxy Tab A and just work connected in PC. 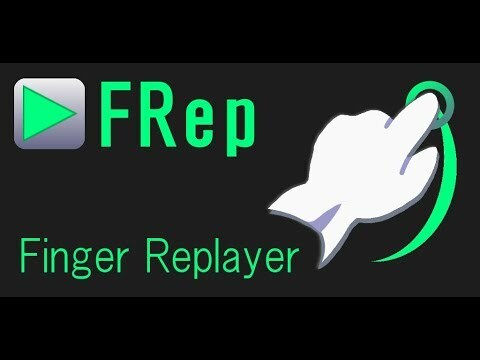 When server started and I remove usb cable, FRep don't record and execute action recorded before (when I record with cable connected). Have setting? I have Samsung S8+ but isn't working.what is wrong ? Thanks it was the best step-by-step explanation I saw. I'm Brazilian and even though I do not understand anything about English, I managed to do it right on my cell phone. I was looking for an autoclick mode here in Brazil, but neither one of them worked. i want to remove the frep COMPLETELY, i cant play TORAM ONLINE… HOW TO REMOVE???? "device not found" can you help me? I did all the procedure and it worked only a day later I could not use the app, does anyone know what happened? what is your phone's name? my issue is after I make a loop, it starts it but it the proceeds to start breaking. Ive found that it randomly gets a mind of its own. How do I fix this?